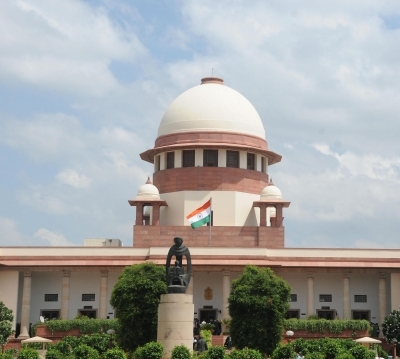 New Delhi July 13 (IANS) The Supreme Court on Friday asked an NGO to move the Calcutta High Court for waiver of condition to deposit Rs 10 lakh for exhuming body of a six-month-old baby for conducting autopsy as he was allegedly buried by the hospital authorities. Observing that the high court should not have imposed a condition to deposit Rs 10 lakh the bench of Chief Justice Dipak Misra Justice A.M. Khanwilkar and Justice D.Y. Chandrachud asked the petitioner NGO -- People for Better Treatment -- to move an application before the high court seeking waiver of the condition. "It can move an application for the waiver of the conditions " said Chief Justice Misra. Justice Chandrachud told senior counsel Bhim Singh appearing for the petitioner that the high court had some doubts about the authenticity of the PIL petitioner and if it could take action. The Calcutta High Court had last week said that they could allow the writ petition provided the NGO made an advance deposit of Rs 10 lakh which would be returned if it was established that the death of six-month-old baby was due to medical negligence. The People for Better Treatment had moved the high court espousing the cause of an Asansol resident Akshay Ghosh who was described by senior counsel Bhim Singh as "street beggar who can t in any way mobilise Rs 10 lakh". The baby Kushi Ghosh had died in March at HLG Hospital in Asansol allegedly due to medical negligence.